Item # 309684 Stash Points: 1,595 (?) This is the number of points you get in The Zumiez Stash for purchasing this item. Stash points are redeemable for exclusive rewards only available to Zumiez Stash members. To redeem your points check out the rewards catalog on thestash.zumiez.com. Celebrate your favorite animated series while looking fly in the Dipping Sauce Crew Socks from Stance x Rick and Morty. 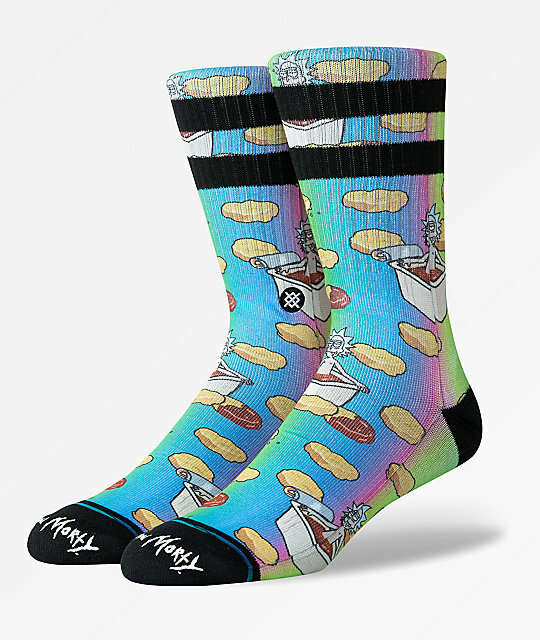 Featuring collaboritive images of Rick bathing in a dipping sauce tub, accompanied by tasty nuggets throughought, this sock is a must have for any die-hard R&M fan. 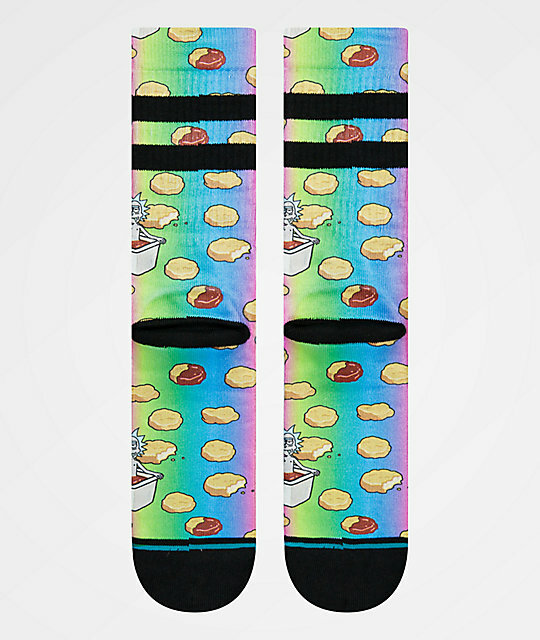 Dipping Sauce Crew Socks from Stance x Rick and Morty. 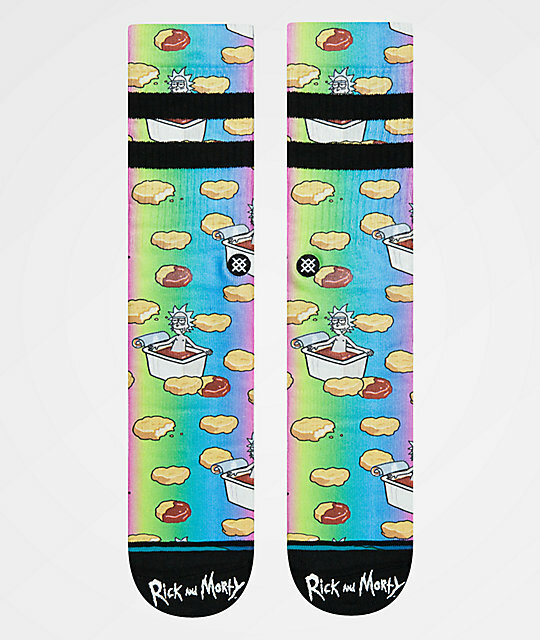 Signature Stance & Rick and Morty Collaborative graphics. Sublimated graphics of Rick bathing in a dipping sauce tub with nuggets throughout.